Posted on June 17, 2013 by Susan H.
I baked a batch Friday afternoon to bring with us for our first trip to my brother’s cottage…the boys were pumped! I made them in the silicone muffins cups to reduce our waste. Click here for the recipe. I also made a batch of Dairy and Peanut/Tree Nut Free Rice Krispie Squares, baked a batch of Dairy, Egg, Soy and Peanut/Tree Nut Free Chocolate Chip Cookies, baked a couple Dairy, Egg, Soy and Peanut/Tree Nut Free French Sticks and popped a few bags of air popped popcorn spritzed with canola oil and sprinkled with sea salt. My sister-in-law was in charge of our only dinner on Saturday. I can always count on her for a fabulous allergy friendly meal for everyone to enjoy…chicken kabobs, rice, broccoli and a salad. 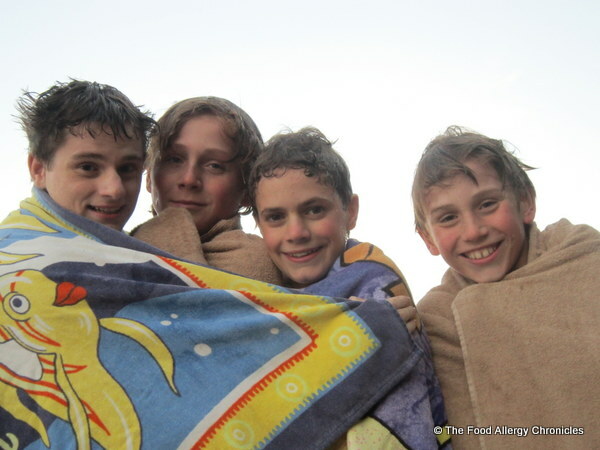 The boys enjoyed a beautiful Saturday with their cousins…playing cards, fishing, tubing, and even taking in a swim. The countdown is on…just 8 more days until the boys are officially on summer vacation! 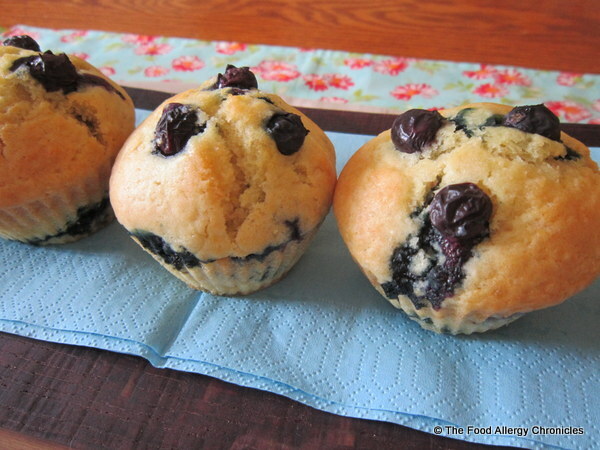 This entry was posted in allergies, baking, dairy free, egg free, muffins, multiple food allergies, peanut/tree nut free, Snacks, soy free, Travelling and tagged Allergy friendly muffins to take on a trip to the cottage, Dairy Egg Soy and Peanut/Tree Nut Free Lemon Blueaberry Muffins by Susan H.. Bookmark the permalink.